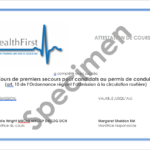 If you require a re-issue of your certificate for the First Aid for the Swiss Driver’s Licence, please add this product to your basket and proceed to checkout. On check out, please ensure you add your full name, date of birth, the location of the course, the date of the course and your full postal address in the ‘notes about your order’ field. 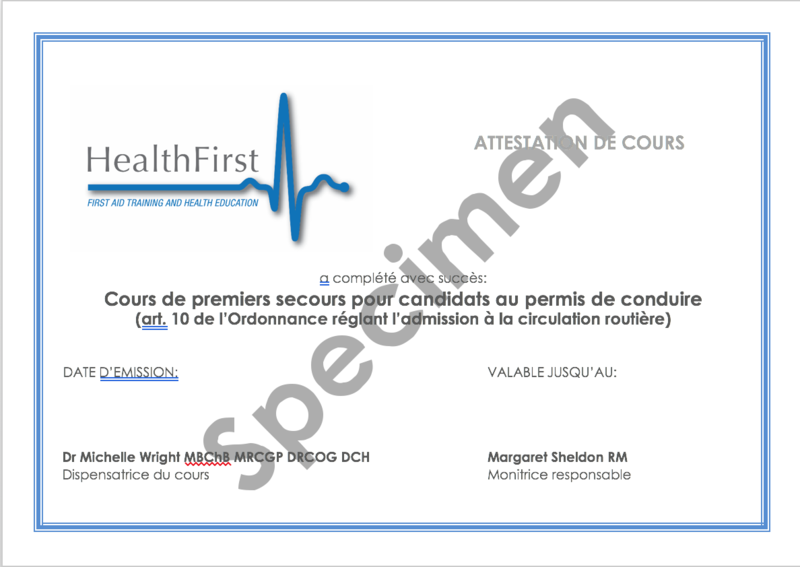 We will send you your certificate within 7 working days. Please note that if we cannot verify that you have attended the course, we will be unable to re-issue a certificate.